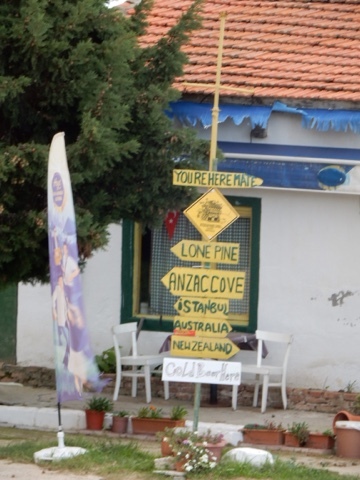 Interestingly, Gallipoli, spelt Gelibolu in Turkish, is actually a town relatively close but is not the best place to stay for those wishing to go to the battlefields and memorials. For those who wish to stay in hostels, Çanakkale is your best bet, and for those staying in hotels, Eceabat (across the Sea of Marmara from Çanakkale) is the best place. 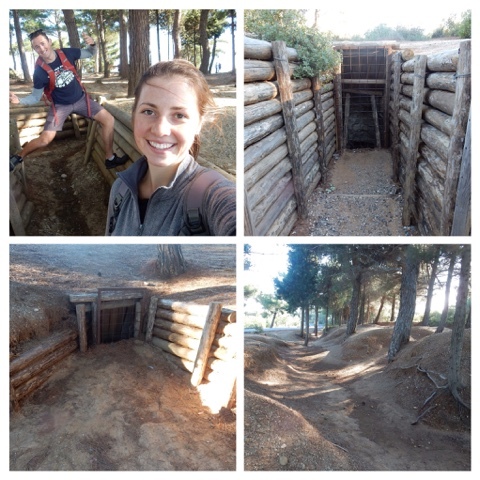 Most people take a tour of the battlefields or rent a car, however a tour would have cost Julia and I 120 lira ($60 Aud) each. Everyone we spoke to told us it would be impossible to see everything without choosing one of these options. However, being the true moneyless backpackers we are, we decided to ignore this advice and see it independently. With limited to no information on anything available, we were forced to play it by ear. However, we can safely say that if you have an adventurous spirit and don't mind a decent amount of walking, independently is completely doable and much more rewarding. people. The easy part was getting a ferry at 8am from Çanakkale to Eceabat for only 3 Lira ($1.50 each). However, once at Eceabat, we hit a roadblock. There are some minibuses that leave from Eceabat to Kabatepe (a port close to the battlefields), but no one speaks English and no one knows anything about what time these phantom buses leave and what time they come back. Of course, vulture taxi drivers will harass you but they will want to charge over 100 Lira ($50) so leave them to find some other prey. After asking numerous people, we had no information so decided to walk to the main road and hitchhike from Eceabat to Kabatepe. 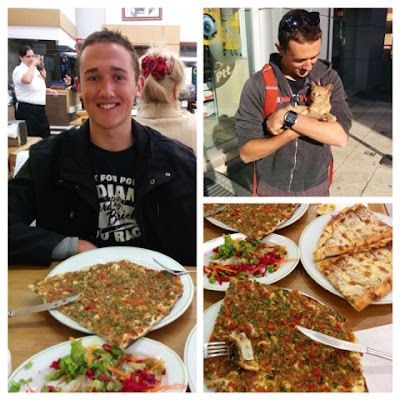 Surprisingly, stories from other travellers were confirmed in regards to how generous Turkish people are with hitchikers. The 5th car we saw picked us up and took us straight to the Kabatepe museum. Travel has shown me how people are inherently good and there are so many beautiful people in the world. Once you are at the battlefields it is well signposted and relatively easy to get around. While there are great plaques with information about each battlefield, cemetery and memorial, we had downloaded the Australian Government "A Walk Around 14 Battlefield Sites" information/audio guide which was a great addition to the day. Where a tour would normally provide stories and more personal touches about the ANZACS, this information gave this to us for free. You can see the overview here. Julia and I had such a great day walking around Anzac Cove and the ridgelines above it. The area is so incredibly beautiful with sparkling blue water surround by imposing cliffs and beautiful nature. We walked by the coastline first past Brighton Beach where the ANZACS were supposed to land on 25 April 1915. This area was much flatter and would have been a much less imposing natural force for the soliders to conquer. Interestingly, if they had of landed at Brighton Beach, there possibly would have been even more casualties due to the position of Turkish forces in the area. Instead, in the darkness, the Anzacs drifted North and ended up in Anzac Cove, an area surrounded by imposing, high cliffs controlled by Turkish forces. 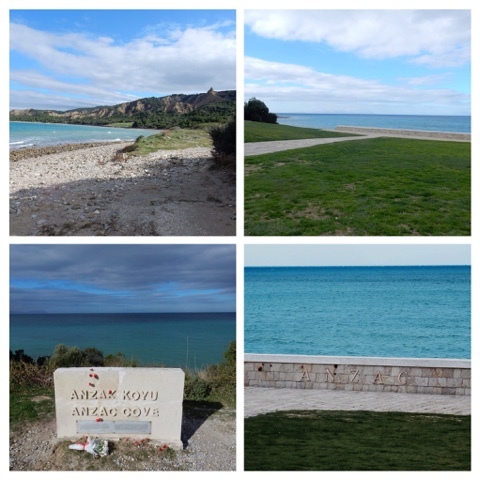 While truly beautiful, it is impossible to imagine how the ANZACS felt coming in to Anzac Cove under intense fire. One battalion, after reaching the beach with considerably less men than when they started, regrouped momentarily under the cover of a sand bar. With the intense firefight unexpected and the situation appearing suicidal, the ANZACS were forced to follow orders, and, seeing as the enemy fire was coming from the cliffs, up the soldiers went. The bravery these young men showed is phenomenal and truly inspirational. 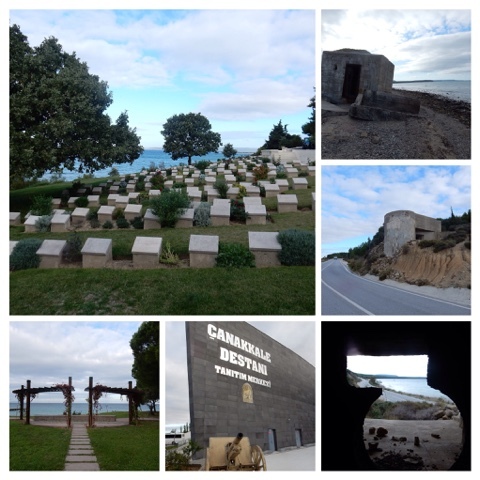 Along the coastline, we visited Brighton Beach, Shrapnel Valley, Hells Spit, Ari Burnu cemetery, North Beach cemetery, and ending at the Anzac commemorative site where the dawn services are held. The cemeteries were so beautifully presented and incredibly moving. 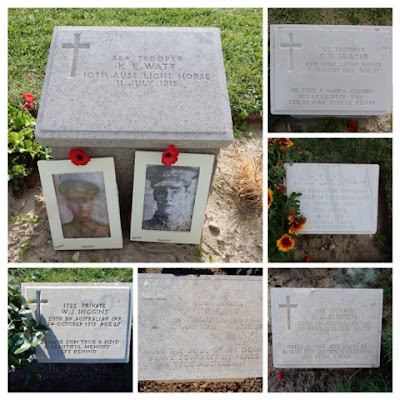 Each of them showed a tally of the number of soldiers from each country buried at that site and what really hit me was the number of buried soldiers they were unable to identify. The messages on some of the gravestones were also extremely emotional. Notice the age of the soldier on the top right photo below. From the commemorative site, we headed back up the road to Shrapnel Valley and climbed a hill up to Plugge's Plateau, a pivotal location fought over for months. From here, those who are adventurous and don't mind heights can climb from the Plateau along a thin ridge to the top of the cliffs. Otherwise, a dirt road can take you up from Brighton Beach to Lone Pine. Of course, Julia and I took the path less travelled and fought our way through the bushes and brambles and along the ridge. 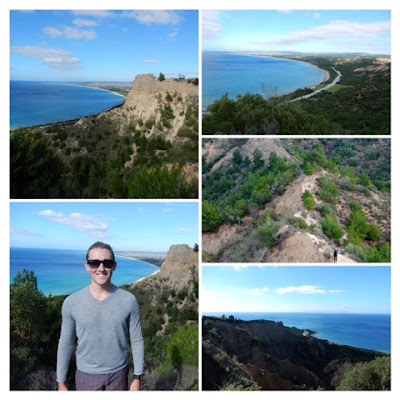 The view on the ridge was absolutely phenomenal and we had a great look at the massive rock formation named by the ANZACS as the Sphinx due to its shape and imposing nature. 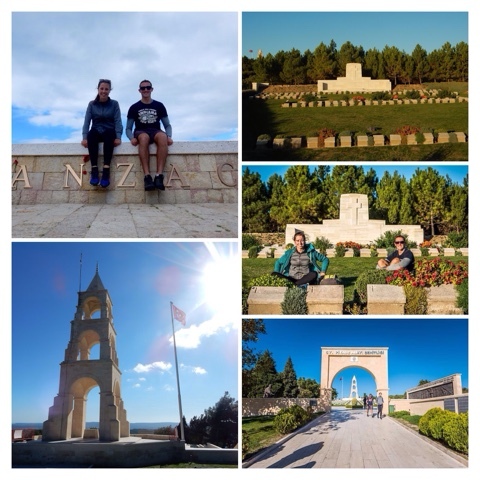 On top of the cliffs, we visited more mind blowing memorials, cemeteries and battlefield sites. We also met Mitch, an Australian army veteran seeing the sites independently as well. We had a great chat and he showed us some trenches he found next to the road. The trenches were insane - on one side of the road were Australian trenches and then on the other side were Turkish trenches. The small road in between was no mans land. Neither side were able to break these lines for the entirety of the battle. 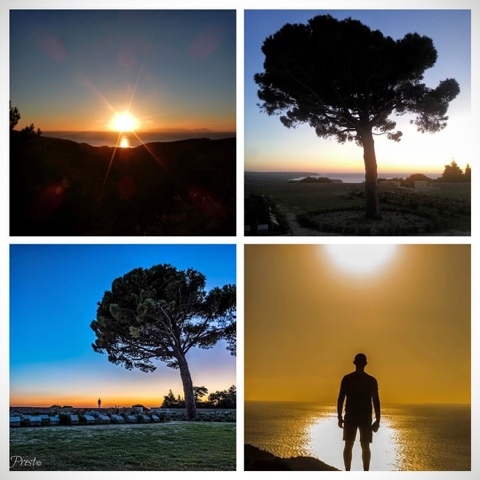 Throughout the day, the beauty of the sunset over the Agean Sea was mentioned numerous times in the information we were reading. It so happened that Mitch was going to stay for the sunset and he had arranged for a taxi to come later that night. Rather than leave and start hitchhiking, we decided that it would be really special to see the sunset that the soldiers would have seen every night. We therefore stayed and chatted with Mitch, and my oh my the sunset was beautiful and such a special opportunity to see away the day on my 21st birthday. After the taxi (that Mitch was kind enough to pay the majority) and after the ferry, we had a birthday dinner and sugar binge at a restaurant in Çannakkale. Some traditional Turkish Pide and pizza went down a treat! Such an incredible day in a beautiful location with good people, good food, and amazing experiences! I'll end this long post with a portion of a beautiful tribute to the ANZACS by Atatürk (commander in the battle and later the Turkish President).